For most, the start of a new year means resolutions and goals and maybe even hitting the gym again after that indulgent holiday season. 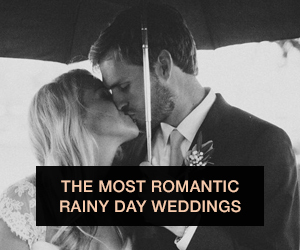 Here at Wedding Party our favorite part of the new year is looking at all the fabulous trends coming out this year. 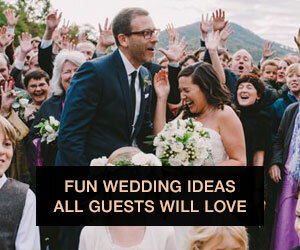 We're making our predictions for cool wedding details in 2015 and we're getting very excited to see a lot of lovely couples incorporate them into their celebrations. Some of these trends make big statements on a small budget, and some of them make life just a little sweeter for all your guests. 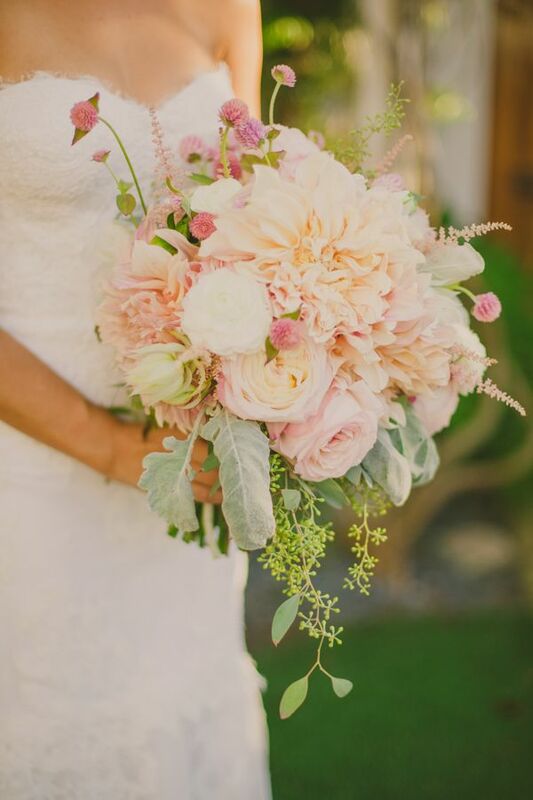 We can't get enough of rose gold and eucalyptus and we can't wait to see lots more this year! 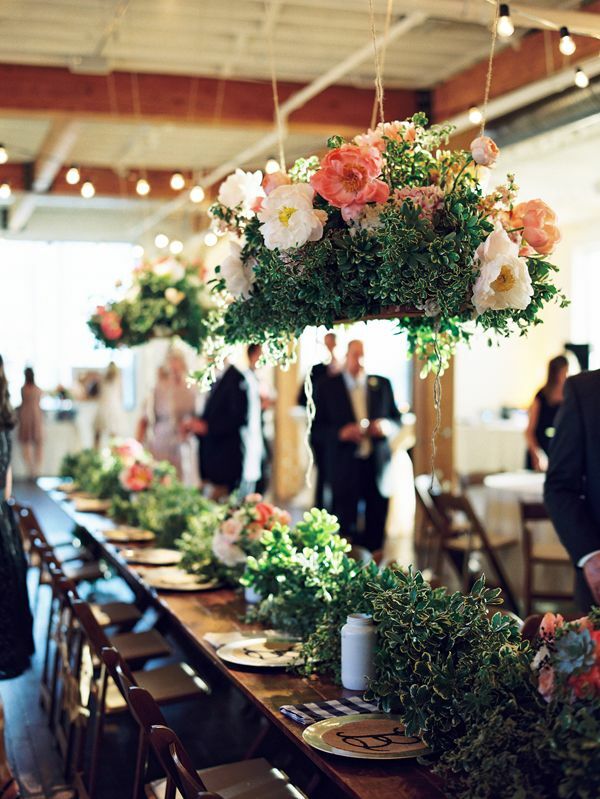 There is something instantly dramatic about floral installations hanging above your tables. We've seen them done with round or rectangular tables and they always add an instant wow factor. 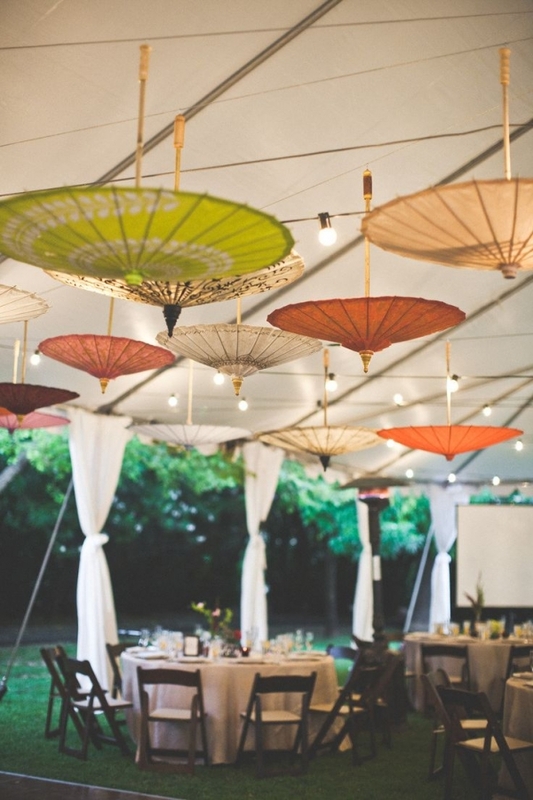 While we're hanging things, let's talk about the growing trend of hanging umbrellas upside down from the ceiling of your wedding venue. 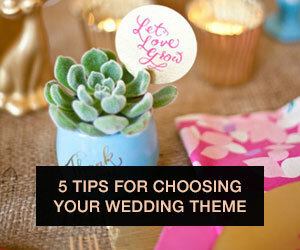 They add so much color and can be much less expensive than hanging floral arrangements. The key is to have enough umbrellas to make a statement, so order more than you think you'll need. Sparkly metallic accents are still going to be hot this year, but we love the idea of mixing it up just a little with a blush rose gold, sprinkled throughout your decor here and there. 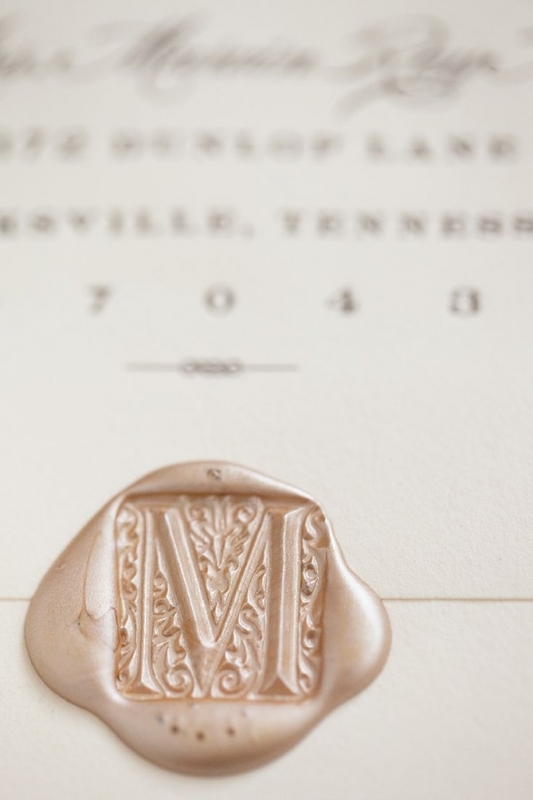 Can you imagine getting an invitation in your mailbox with a rose gold wax seal? So decadent. Greenery is growing as a wedding decor trend and we're so glad. It can be inexpensive and quickly dress up an otherwise bland room. Depending on where you live, greenery can be grown for the occasion in your garden or foraged (responsibly). We're always heading out to the fields to pick ivy for events and it blows me away how big a difference a little green makes! Watch out for eucalyptus, we're starting to see it everywhere and it's a beautiful dusty green shade. 2014 was the year of the naked cake, but 2015 is going to see a return to buttercream and our sweet teeth are so happy! Single tier wedding cakes are a welcome addition to any wedding. They're much simpler for a friend or family member to make than those multi-tiered extravaganzas, so you're even more likely to have someone offer! 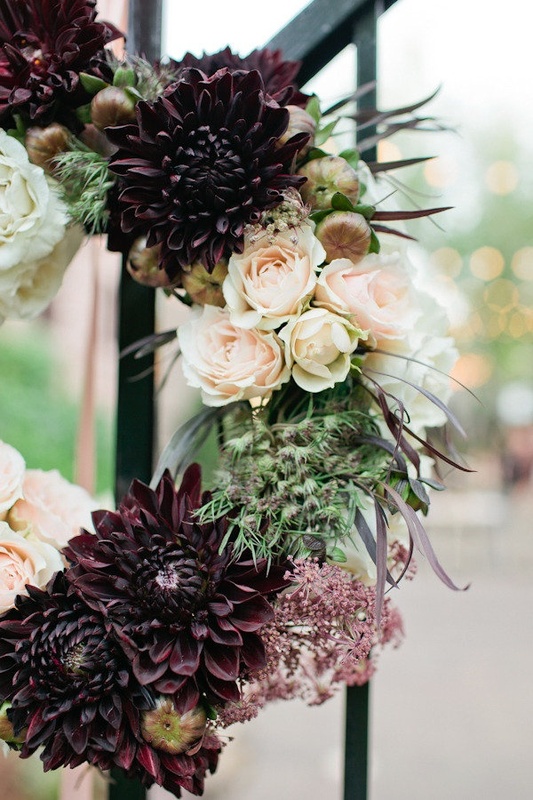 When we wrote about fall wedding trends last year, they were such a hit that we knew those fall colors would stick around. Watch out for Pantone color of the year, Marsala, making appearances paired alongside blush and dusty blue. Dahlias and lots of 'em! 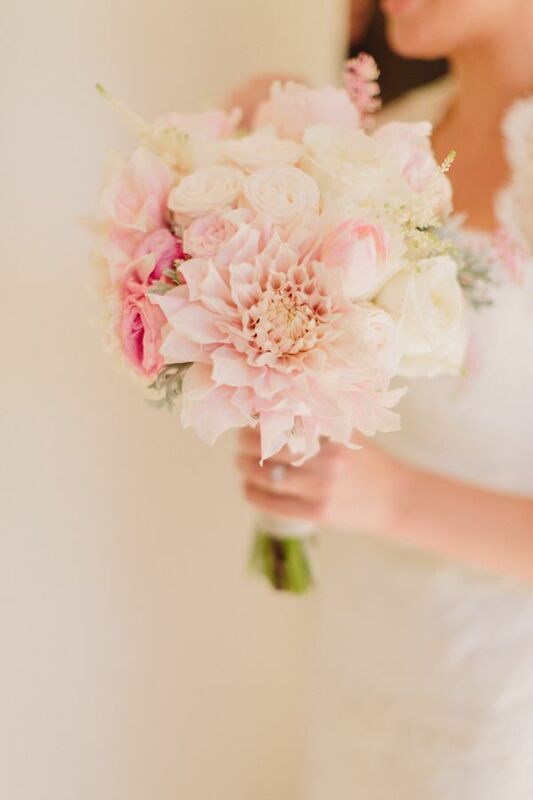 We dare say dahlias are the new peony, and we're pretty psyched about it. They come in so many colors, shapes and sizes and add lots of interest to a bouquet. Some are so big you only need a single bloom for a bouquet! They're great for autumn weddings when it's a little harder and more expensive to get peonies. Talk about setting yourself apart from the crowd of plain white tablecloths. Prints are where it's at in 2015! They add so much personality that you'll hardly need any other table decor. You could go bold or keep your pattern a little more subtle, but either way you're adding texture and a blast of fun to your table settings. We love that family style meals are trending this year, it's a little less fussy than a served meal and can be a lot less expensive and wasteful. Serve up bright, fresh platters and plates that will brighten your tables and make your guests feel at home. The amazing thing about this 2015 trend is that it can be dressed up or dressed down, depending on the type of wedding you're having. 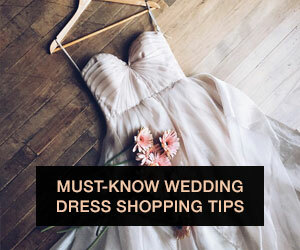 Neutral bridesmaid dresses are surprisingly elegant no matter how boho or informal the wedding. 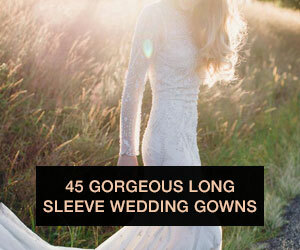 But you can also up the ante with full-length silk chiffon in off white for a black tie affair. This might be the 2015 trend that puts the biggest smile on our faces. We love these clever signs couples are putting out to let their guests know there's no pressure to remember which side to sit on! It's so sweet, and we love imagining guests from both sides chatting and getting to know each other while they wait for the ceremony to begin. Mingling families is a pretty great way to start a wedding! So, friends, what do you think? Anything cool you want to add to the list? 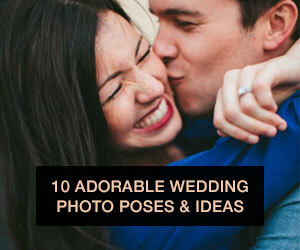 Have a super detail you're planning for your wedding you can't wait to share? Well, we can't wait to hear! Emily Westbrooks is an American-born writer and blogger based in Dublin, Ireland. 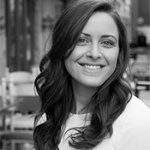 She is the Online Editor for Confetti Magazine, one of Ireland's top bridal magazines. She also writes her own lifestyle blog, From China Village, where she chronicles her adventures in Dublin, travels around Europe, DIY projects and Irish design. She shares her home with her husband, one cat, and four sassy chickens!